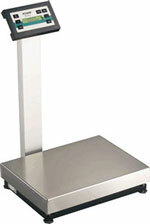 The Low Profile Digital Bench Scale A&D SJ-HS features a large (9” x 7 ½”) stainless steel weighing pan, which is removable for easy cleaning. 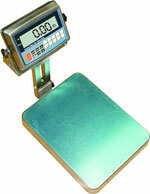 Weighing response is rapid (one second) and is displayed on an easy to read 1” high LCD. The SJ’s low-profile design and battery operation make it portable and suitable for use anywhere from the kitchen to the workshop to the office. 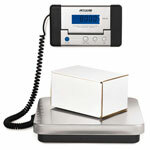 Four models are available from 2.2 lbs x 0.001 lb to 26 lbs x 0.01 lb.